Serbian power metal is virtually unknown (some may argue Serbian metal in general is), but at a little closer look, the former Yugoslav republic has had a few specimens to catch the fans’ ears, such as Tornado or Enjoy Sarma, but overall, yes, it is not has been a grand export to date. 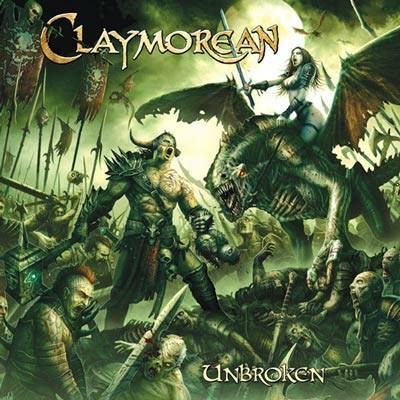 Now Lazarevac’s Claymorean (up to 2014 operating as Claymore) are at the bat with their third full album Unbroken, at the same time their label debut for the American stronghold of everything traditional StormSpell Records, and they should stand a decent chance to get their sound to a wider audience. Compared to their 2013 effort Lament of Victory, the Serbians have expanded their style a little by adding Miodrag Fodora as additional vocalist, giving the quintet a triple vocal attack, with Dejana Betsa Pavlović still leading the way and the accentuating growls still floating around, but Miodrag now brings a full clear male voice to the table. 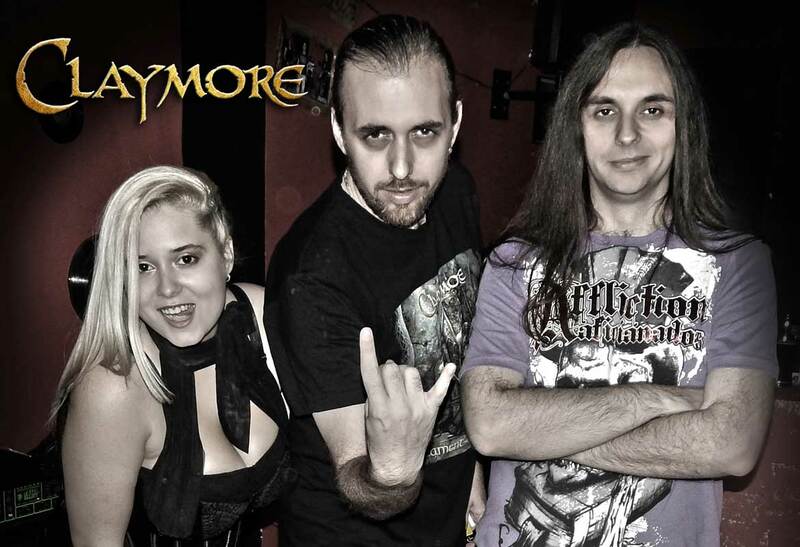 Stylistically Claymorean are unmistakably part of the European school of power metal, with a lot of higher tempos and strong melodies, many of them strongly influenced by the traditional sound of the eighties. 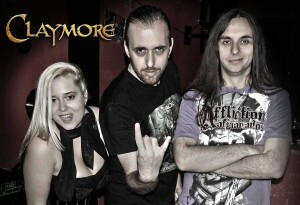 One of Claymorean’s best traits is their ability to create good dynamics and combine them with good guitarwork and strong melodies, with enough of an epic touch to keep the fans of that camp appeased, but without stepping over into the realms of bombast. Opener “Heldenhammer” displays this with its epic intro and then slow build-up into an epic chorus, which stands as counterpart to the fairly calm verse. At the same time the beginning of the album is a mostly mid-paced affair, which, while thoroughly enjoyable, lacks that extra kick in the rear after a while until “Ironhide” brings the much needed injection of speed and also power, double-bass driven, with some shout growls, it is catchy, but not shallow. “Dreamer of a Path of Light” shows the band’s potential, starting out acoustic and with an almost campfire-like quality before evolving into a full-fledged ballad and then towards the end fully stepping on the gas pedal, yet there is another song that trumps it. “We Fight Like Lions” is an ode to Serbian prince Stefan Lazarević and his troops that fought alongside the Ottoman sultan Bayazid against the Mongolian Timurid Empire in the battle of Ankara (or Angora), in the end resulting in a loss by the Ottoman Empire, yet Lazarević’s troops’ drew the admiration of Khan Timur, who said that “they fight like lions”, pretty much coining the title, which obviously tells the story from the other end. The song sets out with an almost Rhapsody-esque male choir before Dejana unleashes her inner metal queen with a more edgy delivery, which goes hand in hand with the equally edgy riffing and sheer energy of the track, in which the choir returns several times. The closing statement of “Into the Courts of Chaos” is, as the fans probably already notice, a Manilla Road cover and 2015 seems to be evolving into a good year for Manilla Road cover versions, with Visigoth very successfully taking on “Necropolis” earlier this year and Claymorean also doing an excellent job, with Miodrag leading the way here. Without compromising the integrity of their sound, Claymorean are successfully straddling the line between traditionalism and progression, culminating in the mighty “We Fight Like Lions”, which despite its latent similarities to a certain Italian band still is a standout track. Unbroken has enough quality to leave its mark on the power metal scene and teaming up with StormSpell Records will enable them to bring it to a wider audience, so keep an eye and an ear on this one! This entry was posted in Reviews and tagged 2015, 8, claymore, claymorean, enjoy sarma, history, lazarevac, power metal, rhapsody, Serbia, stormspell, tornado.